While this is just a fun tribute, I’m not sure how much Wonder Woman 1984 will have in common with The Breakfast Club plot-wise. Although I suspect being bad will feel pretty good for the villains, and maybe somebody will say “Eat my shorts.” However, it does look like the movie will be fully embracing its eighties-ness. The first footage from the film shown at San Diego Comic-Con earlier this summer showed an action scene at a shopping mall, giving us what was denied in X-Men: Apocalypse. Given the love for ’80s nostalgia these days, leaning into that sounds like a fun idea, and I can’t wait to see how the Themysciran and a possibly out of time Steve Trevor adapt to the colorful decade. 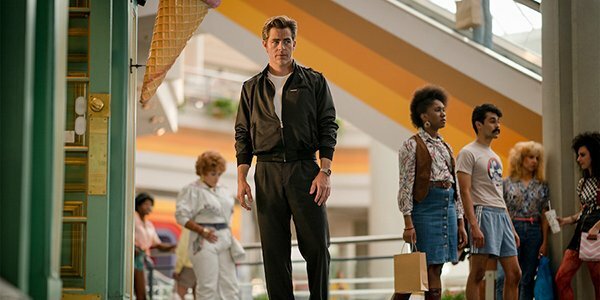 Speaking of Steve Trevor, the first image of Chris Pine from the film showed him decked out in the fashion of the era, so Wonder Woman with crimped hair is probably next. Of course, we still don’t know how Steve Trevor is even alive, much less in 1984. He may need some of Brian Johnson’s smarts to figure it out.